A huge perk of my office and in many tech companies in the Bay Area is the fully-stocked kitchen, packed with snacks. Well, while it’s a great perk to have, it’s also a dangerous temptation, day after day! I’ve gotten creative during my time at my current company, concocting snacks that fit while I maintain a keto diet and to try avoid the famous first year 15. From avocado mash to almond butter and celery. One of my favorites, and most filling snacks is an easy greek yogurt snack. I’d never really been into yogurt, something about it just kind of freaked me out – and without even having had tasted it, I crossed it off my list. For years I just turned my nose to yogurts of all kinds. Big mistake! It’s now one of my favorite snacks! It’s an amazing base to create a tasty, filling, and protein-packed snacks. And when I’m in the mood for something sweet, I turn it into a dessert. Mix together, and voila, an easy dessert that is super satisfying. 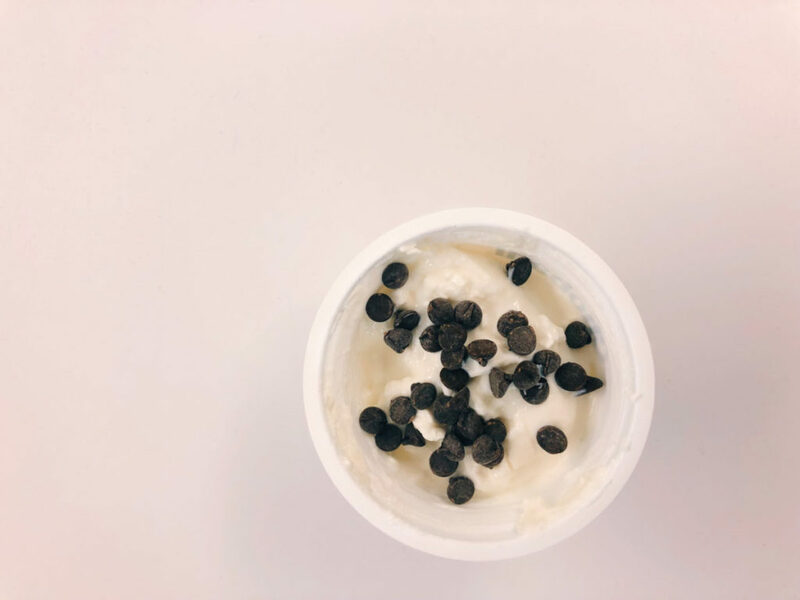 Though I’ve gotten onboard the yogurt train, I still need a little crunch to break up the texture, so chocolate chips, pumpkin seeds, and almond slivers are all toppings I like to add. 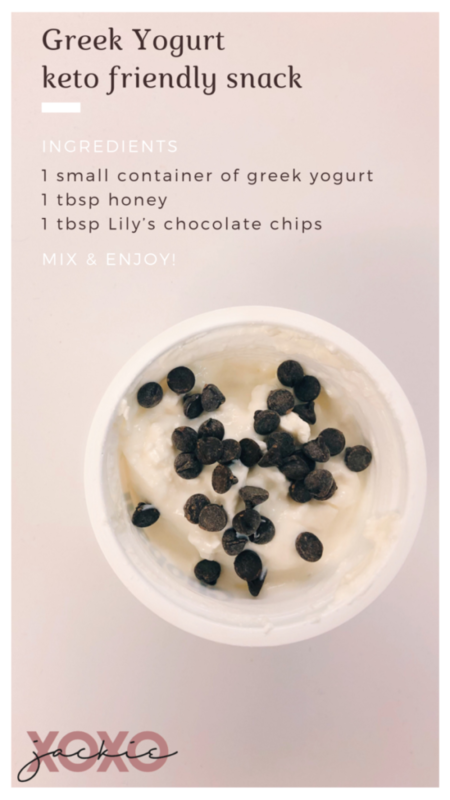 I’m so happy I discovered Lily’s chocolate chips – these sugar-free chocolates let me enjoy sweet treats without the sugar, and adds a little crunch to my yogurt. I hope you’re enjoying the recipes I’ve been sharing! If you haven’t see the others, check out my recipes here.